The Queen of Pop is back! 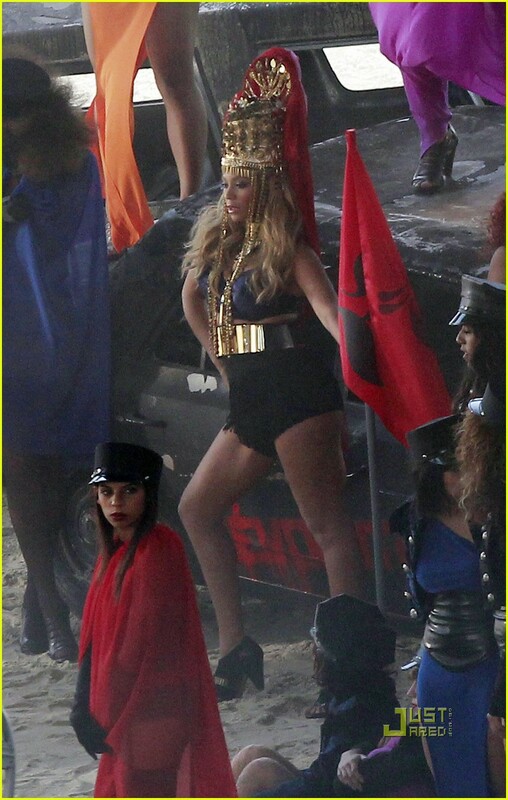 Beyoncé dresses as a warrior queen in a new music video from her latest album. The single and album have yet to be named, but many in the blogosphere (Twitter at the helms) have said that the new single is titled "Girl." The video is currently being shot in Los Angeles. See more photos after the jump!